After a day spent with the hallmarks of allergies – the itchy, watering eyes and stuffy nose – all you may want is a good night’s sleep. Unfortunately, allergies have a way of following you to bed, making it hard not only to fall asleep but also to stay asleep. This is easier said than done, Dr. Hong says. If it’s seasonal allergies keeping you awake, take a shower before bed and leave dirty clothes outside your room. Keep your bedroom windows closed and run the air conditioning. If you use a window unit, make sure it’s recirculating the air and not venting it in from outside. For dust mite allergies, keep dust mite covers on your bedding. And if you suffer from pet allergies, make your bedroom an animal-free zone. Dr. Hong recommends making your house — and especially your bedroom — carpet-free to make it easier to clean up allergens. If you have dust mite allergies, wash your bedding in hot water and dry in high heat. Never dry your linens outside where pollen can follow them into your bed. “Using medications properly can make all the difference in the world,” says Dr. Hong. “Antihistamines help with itching and sneezing, but alone do nothing to help the congestion that keeps you up at night.” Decongestants are the “D” part in allergy medications like Allegra-D®, but they can have a stimulant effect that disrupts sleep in some people. The best choice for allergy relief and restful sleep are prescription nasal steroids — sold as brands like Flonase® and Nasonex®. While it may be tempting on sleepless nights to use a prescription or over-the-counter sleep aid, Dr. Hong never recommends their use, especially for her patients with allergies. “If your medications aren’t working, make sure you see your physician,” Dr. Hong says. “There are other options we can try,” she adds. 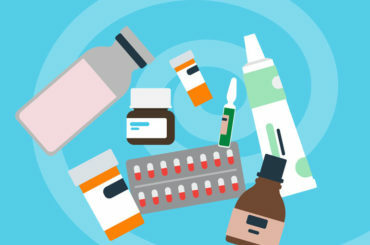 Allergy sufferers can find relief – and more restful sleep – by addressing allergies from different angles: limiting allergen exposure, using the right medication and seeing your doctor if symptoms persist.